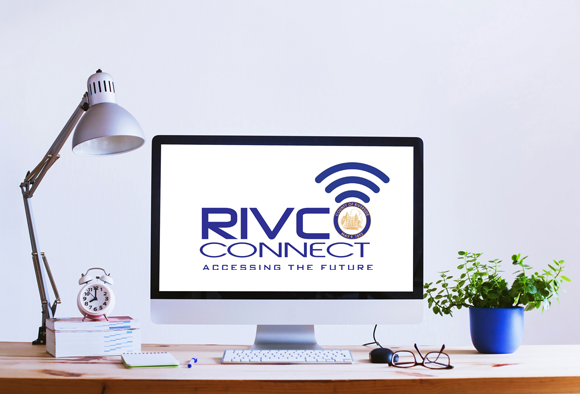 RIVCOconnect is a program to close the digital divide within Riverside County. Through the refurbishment, repurposing and donation of surplus computers, coupled with advocacy for countywide high-speed broadband services at affordable rates for all residents and businesses, and partnership with educational institutions to provide computer literacy training for those that need it. Through the refurbishment, repurposing and donation of surplus computers and related technology equipment, Riverside County’s Information Technology team is working to close the digital divide. In partnership and collaboration with Community Action Partnership (CAP), the County’s Department of Public Social Services (DPSS) and the Economic Development Agency (EDA), the county is working with community non-profit organizations to donate and train local residents on the use of computers. Community members receiving social services, unemployment benefits, or are veterans, students, or simply those in need qualify to receive a computer and training. In addition, seniors with low income (typically those that live on social security alone) also qualify. Since the goal of the county is to enable resident’s self- sufficiency, the DEP program also hires and trains those receiving social service benefits through DPSS to do e-waste sorting and materials handling, refurbish computers, and general warehouse operations. This training program helps those in need to gain skills and experiences that help them to qualify participants for future employment opportunities. RIVCOconnect is advocating for high-speed broadband services throughout all 87 incorporated, unincorporated and tribal communities within Riverside County. This advocacy includes a low cost or free option for qualifying residents. High speed broadband services are the foundation of 5G cellular services, smart and intelligent communities, and connected families around our nation. Our DEP program has partnered with local school districts throughout the county, other local governments, and non-profit organizations to provide computer literacy training. This training is built to provide essential skills required to use a computer with confidence, have a basic understanding of how to use Microsoft Office and how to effectively and safely navigate the internet to do basic research, apply for a job and connect with the world around you. Universal access to high-speed information and technology for the purposes of employment, education, public safety, health care, entertainment, business, and governmental assistance. Affordable access to high-speed Broadband networks Countywide, regardless of economic or geographic status. Bridging the Digital Divide and bringing Riverside County to new heights in economic development, business climate, and educational innovations.